The mares carry the future of our farm. The mare is just as important as the stallion. See our live video cameras here starting March 15th. Custom and inutero foals are becoming more and more popular. 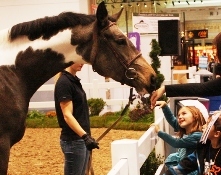 When purchasing a horse from us this way we offer a generous payment plan and work with our clients to make the sale suit their needs and budget. 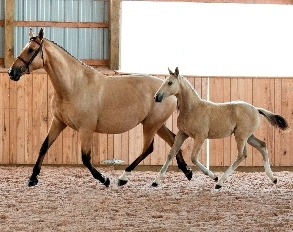 Monthly payments can vary from 6 to 24 months and the average price for one of these foals is $9,500. For the custom foals, you get to be a part of the decision making process when choosing which mare to be bred to which stallion for your dream foal. When purchasing a foal this way, there is a live foal guarantee. If the mare loses the foal or something happens to the mare during pregnancy, we will repeat the breeding for you at no extra charge OR you can transfer payments already made towards another foal/horse we have for sale. This is an attractive option for many clients. 1997, 16.3h. 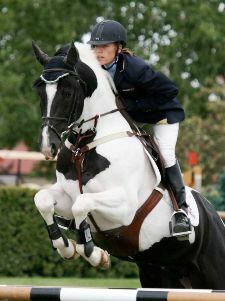 Pinto Dutch Warmblood. This foal has been sold to Florida. 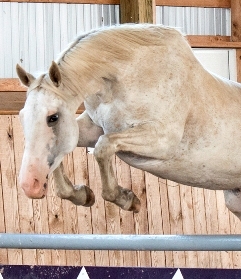 A very sweet mare who adores people and loves being fussed over. 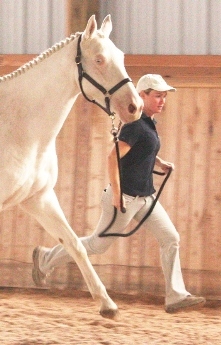 She has three outstanding gaits showing incredible swing, elasticity and impulsion. Princess Vera has been an amazing producer for Blazing Colours Farm. We kept her first born filly, Mircedes, to be included in our mare band. All the rest of her foals have been sold. 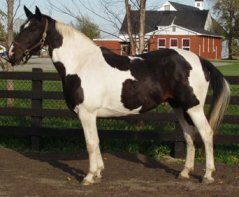 Check out her foals below to see what they are doing now. This foal is available for purchase inutero. A very kind and sweet mare. 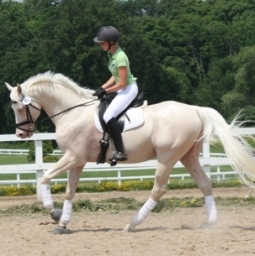 She has 3 lovely gaits with a powerful hindend and scopey jump. 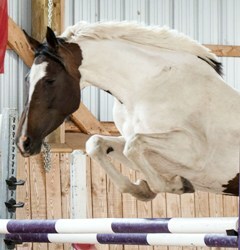 She has been started under saddle and is very athletic with natural balance. This will be her first foal. 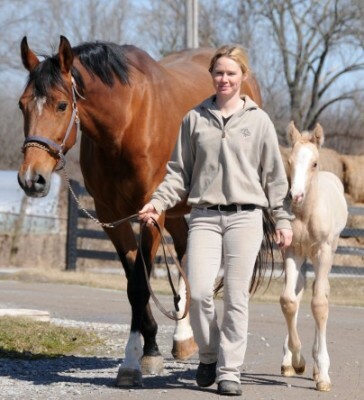 Chantilly is available for a Custom Foal option in 2015 for a foal in 2016. 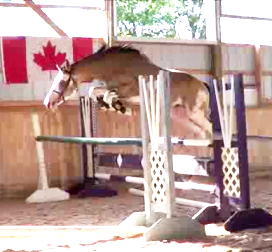 A wonderful mare who is athletic with an effortless jump. 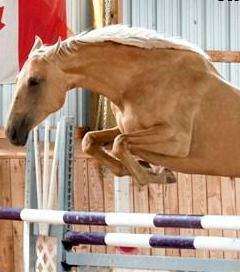 Her movement is light with power and scope over fences. 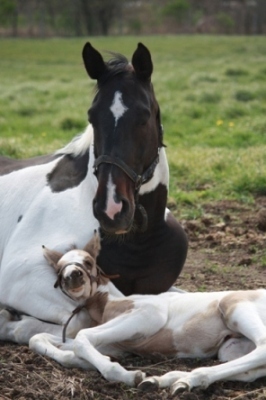 Grand Final is available for a Custom Foal option in 2015 for a foal in 2016. 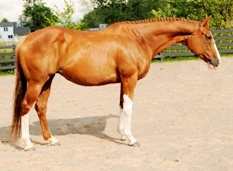 A very classy Thoroughbred mare that is of modern sporthorse type. Adorable has been another fabulous producer for Blazing Colours Farm and all of her foals have been sold. Adorable's foal are listed below. Adorable is available for a Custom Foal option in 2015 for a foal in 2016. 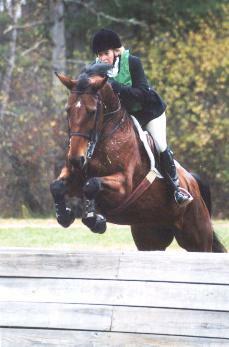 Our first homebred mare to enter the breeding program. 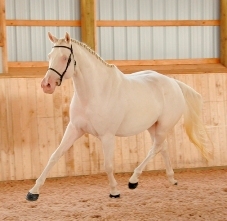 White Beauty is just as her name implies... Beautiful! She is the complete package. 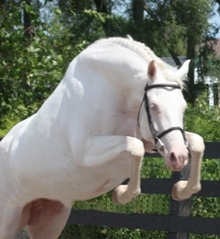 White Beauty is available for a Custom Foal option in 2015 for a foal in 2016. This foal has been sold. She is one of our homebred mares and this will be her first foal. Her dam, Platinum, can be seen above. 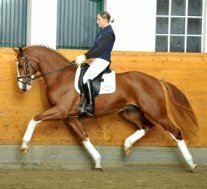 Sunila is a modern sporthorse type with 3 outstanding gaits, correct conformation and tidy form over fences. 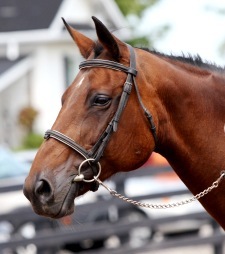 Sunila is available for a Custom Foal option in 2015 for a foal in 2016. Snow White will carry on her dams legacy with us here at Blazing Colours Farm. 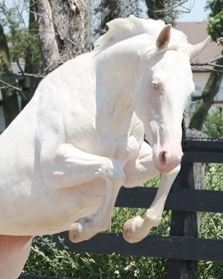 Snow White is available for a Custom Foal option in 2015 for a foal in 2016. 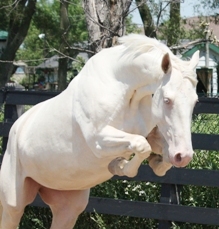 White Safari will carry on her dams legacy with us here at Blazing Colours Farm. 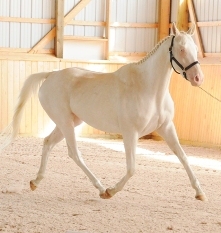 White Safari is available for a Custom Foal option in 2015 for a foal in 2016. 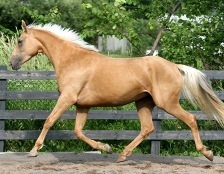 Her 2014 custom foal option has been sold. She is one of our homebred mares and this will be her first foal. Her dam, Princess Vera, can be seen above on this page. Mercedes has been kept to eventually replace her dam, Princess Vera, in our breeding program. 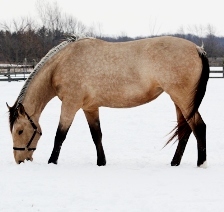 Mircedes is available for a Custom Foal option in 2015 for a foal in 2016. She is one of our homebred mares and this will be her first foal. Her dam, Oilily VDL, can be seen above on this page. Miramber has been kept to eventually replace her dam, Oilily VDL, in our breeding program. 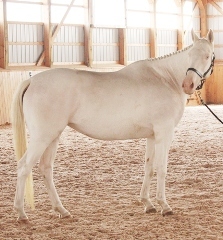 Miramber is available for a Custom Foal option in 2015 for a foal in 2016. This foal has been sold inutero. She is one of our homebred mares and this will be her first foal. Her dam, Fascination II, can be seen above on this page. 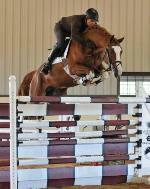 Miramonroe has been kept to eventually replace her dam, Fascination II, in our breeding program. 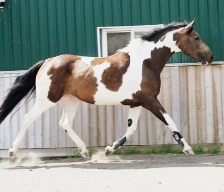 Miramonroe is available for a Custom Foal option in 2015 for a foal in 2016. 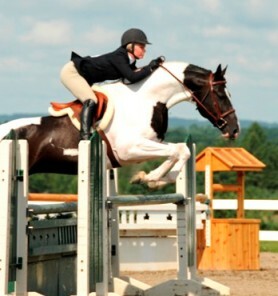 One of our foundation mares. She is an amazing mother with a heart of gold. She can be seen hanging out with all the foals and when her days are done producing foals for us, she will be the babysitter. Fascination has been an phenomenal producer for Blazing Colours Farm. 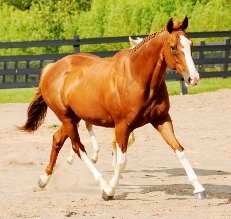 All of her foals have been sold except one, Miramonroe who has been kept for our breeding program. 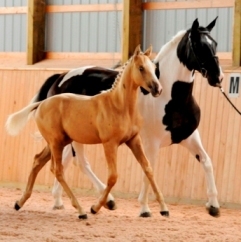 Check out her foals below to see what they are doing now.